Do you want to have a clear and youthful skin all the time? Of course you do because you don’t want to see yourself using renuvie to treat the early signs of aging such as wrinkles. Water has natural moisturizing effect that increases skin elasticity. 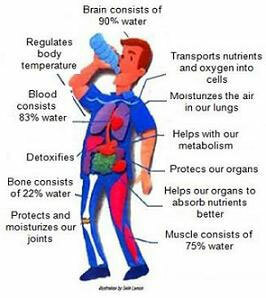 The more water you take the better. Water is also vital to the recovery of my children from dengue fever. Water intake helped in normalizing the platelet count of dengue patients. This entry was posted in Food and wellness and tagged benefits of drinking water, benefits of water on February 26, 2011 by Yami.